This Elizabethan prede-cessor to the petticoat is a hopped undergarment that beautifully accentuates the shape of a Renaissance gown. Made of lightweight, 100% cotton fabric, it includes 5 metal rings in graduated sizes to give your gown that lovely "bell" shape. The rings are removable for washing. Adjustable inner waistband has a plastic, quick-detach buckle. White only. Sizes S/M and L/XL (see size chart below). To order, choose size from dropdown list, then click "add to cart". The "bum wrap" or ""bum roll" was the Elizabethan alter-native to wearing a full farthingale. The bum roll accentuated the hips for the wide-skirted look of the day, while lifting the gown slightly for better ventilation and airflow. Ours is cotton with lightweight acrylic batting. Ties in front. White only, one size. 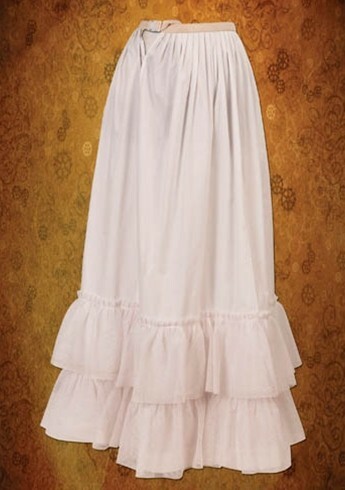 This ruffled, floor-length petticoat is a great way to add fullness to your period gown or skirt. Two deep layers of stiffener at the hem help garments hang correctly, and the adjustable waistband accommodates most waist sizes. Cotton/poly blend. One size. White only. 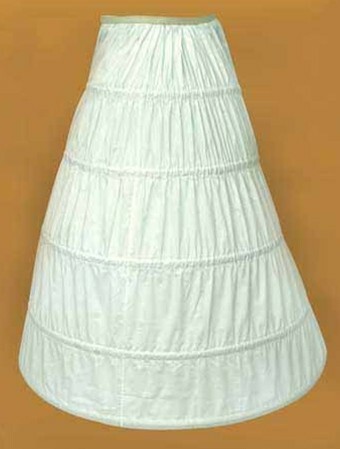 Gauze petticoat with drawstring waist that fits 20- to 80-inch waist, lightweight, breathable comfortable 100% cotton, trimmed with 2-inch band of Venetian lace. 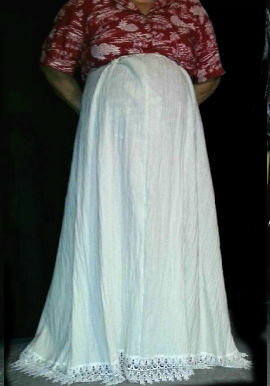 Petticoats were worn as an underskirt to add body to skirts and dresses. 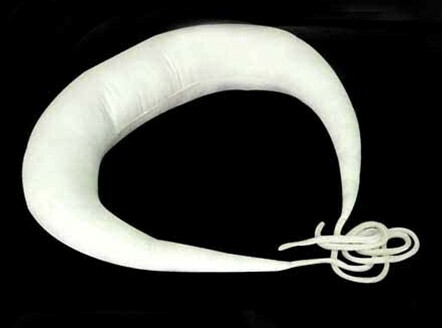 Available in white, natural, or black. Hand wash.